I have to admit Halloween isn't my favorite holiday. 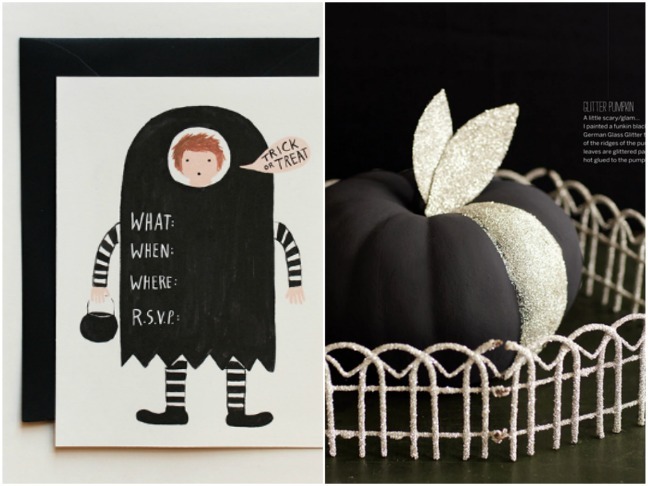 – Send out invitations from Rifle Paper Co.
– Decorate with black glittered pumpkins. – Take a cue from this appetizer menu from Sunset Magazine (a houndstooth tablecloth is a good idea too). 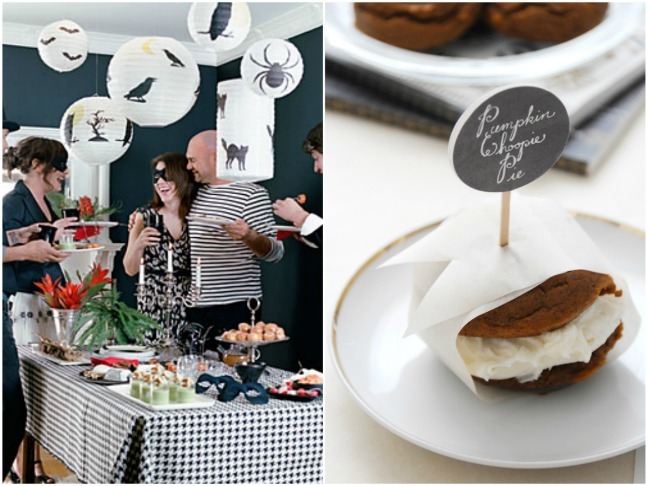 – Sweeten things up with pumpkin whoopie pies. Have I left you looking at Halloween differently?